vol. 19 (3) | 2015 : Inclui dossiê "People make places: ways of feeling the world"
Local knowledge and the ecological practices have been important matters in the study of the ways that people make places and feel the world. Nowadays, in the “ecological era,” this subject gained new prominence. However, different dynamics emerge that, in some way, can seem epistemologically ambiguous. Ethnobiological studies, heirs of linguistic and cognitive anthropology, are permeable to deductive logics and etic approaches. The ethnoecological paradigm is associated with the rhetoric of “indigenous rights” and is politically situated. The applied ethnobiological surveys are engaged in global nature conservation programs and in intangible cultural heritage safeguarding initiatives, but also in community development projects. Therefore, we can consider the ethical and political dimensions of research relationships and the relevance of ethnographic approaches in contemporary ecological research. Taking data from different contexts and focusing in personal fieldwork experiences, some of these theoretical and methodological challenges are outlined and the ethnobiological construction of how people make the places is discussed. O conhecimento local e as práticas ecológicas têm sido elementos importantes no estudo das formas como as pessoas “fazem lugares” e sentem o mundo. Na atualidade, na “era ecológica” que agora vivemos, este assunto ganha nova importância. No entanto, estamos a assistir a diferentes dinâmicas que, de alguma forma, podem parecer epistemologicamente ambíguas. Os estudos etnobiológicos, herdeiros da antropologia linguística e cognitiva, são permeáveis à lógica dedutiva e a abordagens etic. O paradigma etnoecológico é associado à retórica, politicamente situada, dos “direitos indígenas”. As pesquisas etnobiológicas aplicadas fazem parte de programas, marcadamente globalizantes, de conservação da natureza e de salvaguarda do património cultural imaterial, mas também de projetos de desenvolvimento comunitário. Assim, podemos considerar as dimensões éticas e políticas das relações de pesquisa e a relevância da abordagem etnográfica na pesquisa ecológica contemporânea. Partindo de dados de diferentes contextos e de apontamentos de experiências de terreno pessoais, são descritos alguns desses desafios teóricos e metodológicos e é discutida a construção etnobiológica de modo como as pessoas “fazem os lugares”. 1Some practices and beliefs concerning non-human living beings appear in different historical and cultural contexts, while others remain contained in local ones.1 Jack Goody says it about plants in an absolutely charming manner in his book The Culture of Flowers (1994). In this historical and comparative approach, he shows how a “culture of flowers” makes communication, as well as differentiation, possible between human groups. Source: Photo by Amélia Frazão-Moreira. 3In this way, my orchid is also a reminder of the possibilities of a subjective interpretation of cultural schemes, in this case, perhaps, in an individual appropriation of the “analogism” that Philippe Descola (2005) proposed as a form of identification between humans and other natural beings. My orchid transports us to anthropological horizons and evokes the ethnobiological perspective. 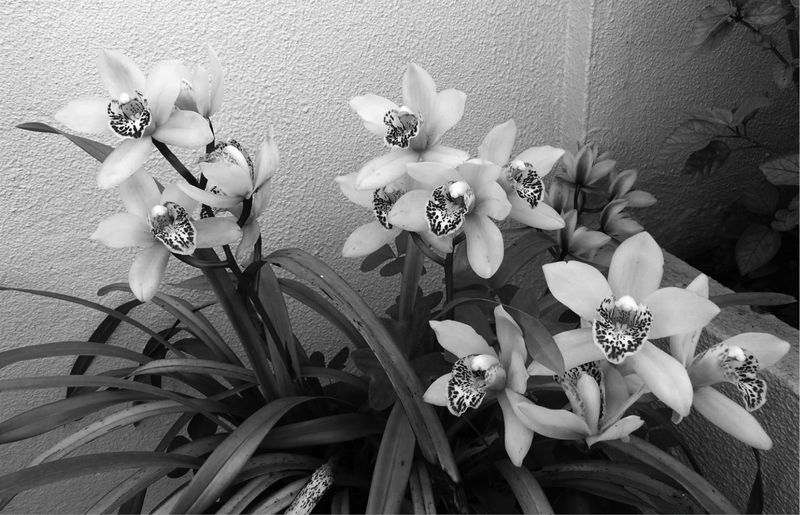 4I left my orchid alone there on the veranda… And I sought out other plants and environments in what I would like to be an encounter between ethnography and ethnobiology. “[…] first and foremost, the study of how people of all, and of any, cultural tradition interpret, conceptualize, represent, cope with, utilize, and generally manage their knowledge of those domains of environmental experience which encompass living organisms, and whose scientific study we demarcate as botany, zoology, and ecology” (2006: 3). 7However, we can briefly recall the different theoretical and methodological approaches to research that are labelled ethnobiology. Eugene Hunn (2007) situates these different approaches in phases because they have emerged at different moments in this discipline’s history. When ethnobiology started as a discipline, local habits of biological beings were examined from a science viewpoint, within a functional, etic and ethnocentric perspective. Later, ethnobiology was presented as an ethnoscience, interested in finding the cognitive structures in the indigenous constructions of the world and close to linguistics and cognitive psychology (e. g. Conklin 1954; Sturtevant 1964; Berlin, Bredlove and Rave 1973).3 In the next phase, after the 80s, ethnobiological studies were concerned with the relations between knowledge and practice. They focused on “traditional ecological knowledge” and in the understanding of local forms of management and treatment of natural resources. Traditional knowledge was no longer understood to be merely about animals and plants but included all ecological fields (soil, climate, water…). The importance of ethnobiological studies to the conservation of biodiversity and sustainable development then came to the fore (e. g. Orlove and Brush 1996; Berkes 1999). Especially from the 1990s onwards, this ethnoecological viewpoint is linked to the protection of “indigenous rights” and “intellectual property rights,” thereby positioning the discipline politically and widening its scope to include participative methodologies and committed standpoints (e. g. Toledo 1992, 2002; Brush 1993; Posey and Dutfield 1996). 9Nevertheless, the ways that people make places and feel the world have been portrayed and narrated by so many studies that are labelled ethnobiological. This is what is interesting about ethnobiology: an understanding of cultural realities through an ethnobiological prism is a way of substantiating anthropological frameworks and debates such as the one about universality versus cultural diversities, or else the deconstruction of the dichotomist views about nature / culture or cognition / praxis… Or as Ellen (2006) argued, ethnobiology is after all vital for anthropology. On the other hand, insofar as ethnobiology appropriates the ethnographic methodology, it manages to produce a systematic view, framing man’s place in a specific environment. There has been wide and fruitful debate and reflection about the theoretical and conceptual, as well as the methodological lines of studies of the relationship humans have with nature (e. g. Descola and Pálsson 1996; Ellen and Fukui 1996; Ingold 2000; Milton 2002). I have chosen for this paper to outline one or two of these debates, concerns and challenges starting from instances in some of my researches in three different scenarios. I have chosen to tell some stories of people and places… with plants. 10In one of the villages of the Nalu people, where I had stayed many years before, I attended the first meeting of the village people with an operative from a new Guinean local development NGO.5 In accordance with the usual procedure at this kind of meeting, men and women were asked to make a list of the problems and capabilities of the village. I must admit I was a little drowsy listening to these lists, which were alike in every way to those presented for the benefit of numerous organizations for decades, when suddenly in the list of the village capabilities – like the importance of palm oil extraction, the existence of a community school, and the resistance of community spirit – I heard of the existence of a mato sagrado (sacred forest). 11Then I remembered that in the mid-1990s it was not thought that a “sacred forest” existed in that very village, but only a very small ritual place. I also remembered that the location of these “sacred forests” in the region was kept secret. 12The Nalu are recent converts to Islam,6 and a pre-Islamic cosmology exists in a syncretic form according to which supernatural beings (genies, or irans as they are called in Guinea-Bissau) protect people and the territory. Places where these beings live are considered sacred and, as such, they are preserved as taboo objects and ritual places. In general, natural beings, whether animals or plants, are seen as elements of the world at the same level as humans in a holistic and systemic vision of the universe. This pre-Islamic Nalu cosmology is thus another illustration of what many authors, such as Strathern (1995 ) or Ingold (1996, 2000), have been arguing when they say that non-Western views cannot be adapted to a naturalist eye influenced by an anthropocentric viewpoint and the opposition between culture and nature. 13However, the acknowledgment of the existence of sacred forests doesn’t mean in any way that the preserved areas of the forest remain untouchable nor that they keep a fixed dimension. Mainly as a result of demographic pressures and the development of a market economy, deforestation has accelerated. This subsequently abolishes any romantic idea as to the link between the sacred character of places and the existence of pristine nature. It removes the “myth” of African life in symbiosis with nature (Dabiré 1993). “For many peoples, sacred natural sites are areas where nature, connection to the great universe, and collective or individual recollections come together in meaningful ways. Sacred natural sites can be the abode of deities, nature spirits and ancestors or are associated with hermits, prophets, saints and visionary spiritual leaders. They can be feared or they can be benign. They can be areas for ceremony and contemplation, prayer and meditation […]” (Wild and McLeod 2008: 5). 15Following such formulations, “sacred forests” emerged as a protected category recognised by Guinea-Bissau’s law. The law concerning the protected areas establishes the following classification: National Parks, Natural Parks, Nature Reserves, Environmentally Sensitive Perimeters, Ecological Sanctuaries, and Sacred Forests. Sacred Forests are considered “natural areas reserved exclusively for traditional cultural and religious manifestations where management of its natural resources is determined by the uses and customs of the community that utilizes them” (Article No. 3, Decree Law No. 3 / 97, Protected Areas Framework Law). 16In reports and documents we come across an adaptation of traditional local cosmologies in conservationist language when they refer to the existence of sacred forests as a factor that permitted and continues to allow the conservation of biodiversity and even view it as a potential touristic resource (Brito 2007; Campredon 1997; IBAP 2007). 17So we can understand the episode that I started off by describing, that is to say, that the villagers claimed the “sacred forest” category for their small ritual place in an effort for this to be taken into account in negotiations offering minor benefits to their village. This effort has possibly been facilitated by the fact that the view of the pre-Islamic world is losing importance in the face of ontology with Moslem roots, which is considered anthropocentric (as demonstrated by works such as Meddeb 1993, Ally 1996, and Manzoor 2003). 18We can interpret the incorporation of sacred landscape categories as a strategy for nature conservation, as an imposition that not only forces a reconfiguration of the local perception of places, but also tends to reduce the flexibility that the local community is seen to have in manipulating natural resources. As Temudo says, analysing the history of Cantanhez landscape, nowadays “liberalism triumphs and the forests are released from their symbolic value to become a commodity in the world ecomarket” (2009: 257, free translation). This is a process that is in every way similar to other contexts; a process of re-writing “tradition,” of heritagization and commoditisation of ecological relations (see, for instance, King and Stewart 1996; Broch-Due and Schroeder 2000; Peluso and Alexiades 2005; Igoe and Brockington 2007). 19In a different perspective, we can see that when elements of the local culture are at stake in processes that follow globalising directives, then local communities, albeit in a very subaltern position, have a larger possibility to turn these mechanisms in favour of their survival. 20Other examples in this ethnographic scenario can reinforce that kind of ways of “remaking places.” However, what I would like to argue is that the recent and postcolonial processes of remaking places are similar in form to past ones, especially in the colonial history, as can be exemplified by an episode that occurred in 1913 during the Mansoa War, in the then Portuguese Guinea (cf. Pélissier 1989). 22In short, facing an outside imposition and the threat of control over their territory, the Nalu of the past responded by reconfiguring this territory; likewise, facing the obligations of nature conservation directives, the Nalu of today reconfigured the meaning of their places. 23It seems to me that one of the challenges posed to ethnography is to understand the changes in the way “people make places” as a response to exogenous and certainly hegemonic political agendas, but also as local manipulations to guarantee cultural continuity and survival. 24It is the “adaptive capacity to learn and change that allows for long-term survival, and confers resilience on the social-ecological system,” as Davidson-Hunt and Berkes (2003) defend. 25In order to develop this diachronic idea I move on to the second scenario. 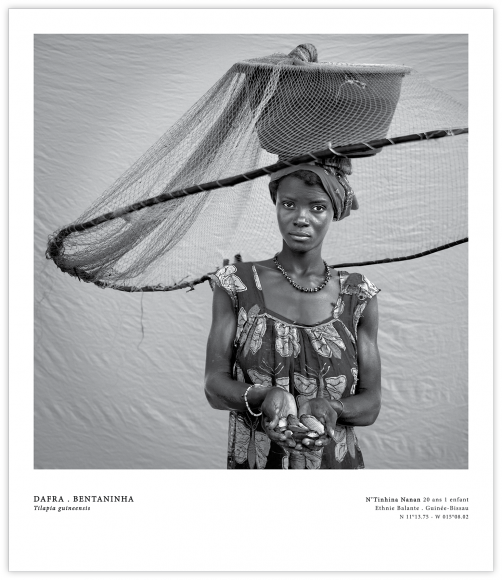 “The images obtained show another face of Africa where quality of life and food security are ensured by biodiversity. Whatever the difficulties faced by these communities, namely poverty, conflict, climate change, they are able to balance diet, to have access to traditional medicines, clothing, habitat, to develop handicrafts and artistic creation and to keep alive their beliefs while biodiversity is conserved” (in pamphlet of the photo exhibition “Nha Terra,” by Nedjma Berder, Institute of Biodiversity and Protected Areas of Guinea-Bissau, 2010). 27The photos have captions that explain the flora or fauna they want to highlight (indicator of biodiversity) and the person that presents this element (indicator of cultural diversity). 28The first photograph I would like to present is of a young Fula girl. 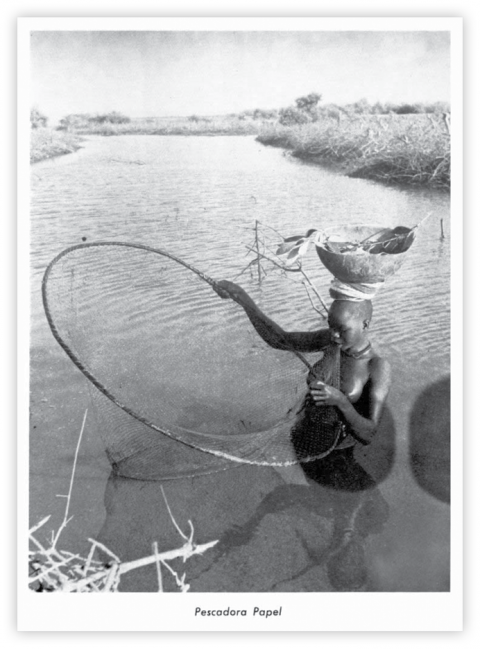 The caption makes it clear that the local production of rice is in the hands of Fatimanara Culubali, from the Fula ethnic group, Guinea-Bissau, with the exact longitude and latitude as per GPS coordinates (figure 2). Source: Photo by Nedjma Berder, exhibition “Nha Terra,” UNESCO, Paris, 2010. Source: Boletim Cultural da Guiné Portuguesa, XV (60), 1960: 153. 29Apart from the beauty of the photographs, or perhaps even because of it, I couldn’t help thinking of images from other times (figure 3). They reminded me of the photographs published in the colonial journal named Boletim Cultural da Guiné Portuguesa and especially in its section on “Aspectos e Tipos na Guiné Portuguesa” (Aspects and Types in Portuguese Guinea), examined by Carvalho (2004). In these photos, the portrayed people are never named, and in the end the physical and cultural differences of pure “types” are extolled in an endeavor to classify them, in a manner that is similar to what was done in other Portuguese colonial contexts, as Jill Dias (1991) shows, or even by other colonial powers, as becomes clear in the works, for instance, of Maxwell (1999) and Landau (2002). Source: Boletim Cultural da Guiné Portuguesa, XXV (99), 1970: 125. 30As for Berder’s photos, some parallels and divergences become evident. 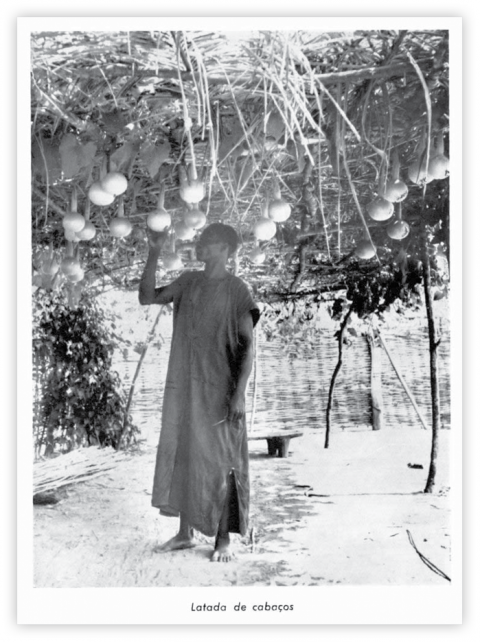 Two more examples: the Balanta named Joaquim N’Tahama with gingerbread plum from 2010 (figure 4) and “Gourds growing on a trellis” from 1970 (figure 5); the Balanta named N’Tambina Nana with “bentaninha” (a small carp; Tilapia guineensis) from 2010 (figure 6) and a Papel fisherwoman from 1971 (figure 7). Source: Boletim Cultural da Guiné Portuguesa, XXVI (103), 1971: 173. 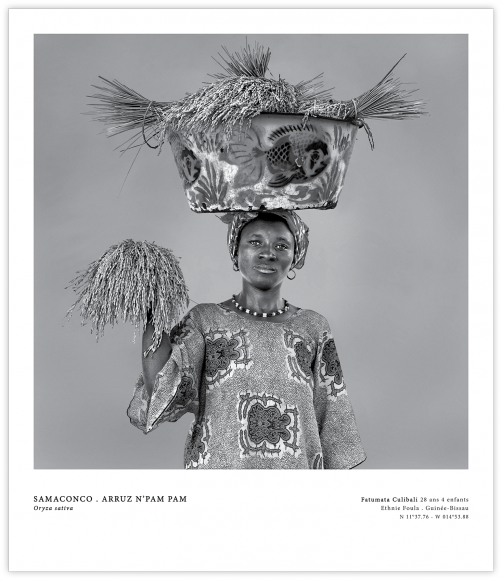 31Photos nowadays bring together natural and cultural aspects, but while the subjects photographed certainly gain individuality, they don’t lose the typologisation of ethnic identity. It is interesting that Berder’s original photos were in colour, and the photographer later worked on them to bring to the fore the flora and fauna elements, the only ones to come out in colour, thereby indicating the importance of biodiversity. In the end, this brings them close, at least in aesthetic terms, to colonial images. However, the seemingly slight difference, the fact that the photographer respects the individuality of the subject, expresses, after all, a huge ideological difference. Now, the photos expose people and practices of everyday action. 32These images from 2010 were exhibited not only in Paris but throughout the world via the Internet to promote the richness of Guinea-Bissau’s heritage. They are comparable to photos and videos that are used in this country, as in others, as imaginary representations of the environment. We can think about them as “fetishisations of biodiversity by environmentalists,” and as images that can easily stir emotional identification (Milton 2002; Foale and ­Macintyre 2005). They are no longer instruments for colonial powers’ hegemony, but, in a sense, they can be seen as images of “ecocolonialism” (e. g. Bonner 1993; Cox and Elmqvist 1997). 33These images are misleading because they ultimately put in second place the real difficulties, such as the shortage of food, lack of hospitals, short life expectancy, and high child mortality rates. So it is easy to draw analogies between these representations and the colonial ones. However, this is the most economical and easy path to take. Too easy! If we just go by the narratives of the images, how, in fact, will we understand the specificities and the differences of the processes? – What were the specific contexts in which these photos were produced? In what way did the different interlocutors – park staff, the people who were photographed, local chiefs – participate and what was their level of decision-making? – In what way are these images being appropriated or not? 35To borrow an expression from Anna Tsing (1999) – How are these “green fantasies of the exotic” being disseminated and used? As she has shown us, the challenge of ethnography no longer lies in understanding the disagreements that arise between conservationists and local populations, or the forms of contestation, but rather in understanding collaboration, in ensuring procedures that allow us to understand the creativity that emerges when the local encounters the global, in the fields of policies, practices and knowledge. 36It is precisely knowledge the protagonist of my third and last scenario. 37In various disciplinary traditions, the ecological knowledge became the central aim of research. First it was called “indigenous knowledge” and was linked with development perspectives and with the protection of “indigenous rights.” The epistemological distinction between “indigenous knowledge” and “Western knowledge” was then defined and constructed (Inglis 1993; Ellen, Parkes and Bicker 2000; Nazarea 2006). This is, in fact, a distinction that has been outlined according to dichotomous constructions of types of thinking that emerged in the theoretical frameworks of anthropology, for instance, in Lévi-Strauss (1983 ) and Horton (1967). Following a number of different designations (“indigenous technical knowledge,” “tribal knowledge,” “folk knowledge,” “traditional knowledge,” etc. ), the choice ended up falling on “traditional ecological knowledge” (TEK), partly because of criticisms made about the limitations of the term “indigenous knowledge” and partly because of its association with nature conservation and genetic resources, and, more recently, the safeguarding of Intangible Cultural Heritage. I will return later to this matter of the different types of knowledge. 38The data I am presenting in this final scenario are part of a specific research project called “Ethnobotany of the Northeastern region of Portugal: local knowledge, plants and uses.” 8 Case studies were carried out in two communities, one in the Montesinho Natural Park and the other in the International Douro Natural Park, two of the fourteen Portuguese such areas. They are two rural contexts that are undergoing social and economic change with an emerging “new rurality” and greatly influenced by agricultural decline. 9 Summary of Project’s results in Frazão-Moreira and Carvalho (2009). 39So it was not surprising that we should find a social variability of ethnobotanical knowledge similar to rural contexts also undergoing change in other countries and continents (for instance, Zent 2001; Heckler 2002; Ross 2002; Reyes-García et al. 2005; Gómez-Baggethun et al. 2010). We verified the existence of a past knowledge with no practical application, forgotten by many yet much valued by others, especially by a group we could call “specialists,” consisting of women and men (aged between 50 and 65) who are eager to increase their knowledge of local flora through any type of information they can find.9The “specialists” get exogenous knowledge through books and other publications, through television and even by exchanging information with practitioners of different medicines. They acquire scientific knowledge or then very often just the systematisation of exogenous folk knowledge, which they then connect to local traditional knowledge. 40The plant “malva” (“mallow”; Malva sylvestris) is a good example of what I intend to show. A 72-year-old shepherd told us something he had always seen done: “Boil the plant [‘malva’] to clean cuts and wounds so that they heal more quickly.” This plant was used in the past mainly as a disinfectant and healing aid applied externally. An infusion of “malva” leaves is also recommended to soothe urinary tracts and as a diuretic. A 60-year-old woman, a farmer, also told us about the uses of “malva,” information that was based on what she had learnt in books about medicinal plants: “malva is used to make tea and it’s good for losing weight, but one must be careful and not take it in large quantities as it eats up our red blood cells.” With women’s growing concern over diet and their looks, a new use for this plant has emerged. An infusion of leaves is now indicated as suitable to help weight loss and control cellulite. In the end, these women are doing little more than returning to an old use, diuretic infusions, under the cover of a new concept, in a creative manner of connection. 41We found similar examples in the field of pharmacological knowledge and uses, and in other spheres of activity (Frazão-Moreira, Carvalho and Martins 2007, 2009; Carvalho and Frazão-Moreira 2011). All the examples show that it would be a useless, incoherent and artificial task to try to disentangle traditional knowledge from recent knowledge and practices. This distinction has no social meaning, as it was demonstrated by social actors when confronted by researchers and their attempts to find out about the nature of their knowledge. 42We can always recall critical positions, such as that of Agrawal (1995), that point towards the difficulty, indeed the futility, of establishing, even in epistemological terms, clear differences between traditional and scientific knowledge. We can always argue that what we find is hybrid knowledge after all (Canclini 1995). 44In the context we are now looking at, the economic and social changes in the rural world and the disappearance of a survival system greatly dependent on available natural resources mean that a great deal of plant knowledge stopped being part of consumption, work and ritual. It is now explained and further crystallised knowledge, and frequently has no connection with any activity, either because it now lies only in past memories or because it is exogenous knowledge, erudite and found in books, learnt not through a “know how to do” but a “know how to say” process. Changes in plant uses and knowledge are linked to the change of the practical involvement with the environment. We could equally analyse these changes as the heightening of a patrimonial view of ethnobotanical knowledge, whose richness people want to increase, and as associated to an idea of nature as a value to defend and protect. This is a vision of nature shared by people that feel the world, but, in a certain way, no longer feel part of the world. 45This is then the great challenge that has been put to carrying out ethnobiology with an ethnographic gaze: to understand, without any kind of nostalgia filter, that the way different peoples of the world make places are uniform in its outlines, following environmentalist viewpoints that in the end separate them from ontologies that are truly ecological; to understand, without the filter of dogmatism, that this doesn’t imply the inexistence of creative adaptations that allow for the continuation of different forms of feeling the world. AGRAWAL, Arun, 1995, “Dismantling the divide between indigenous and scientific knowledge”, Development and Change, 26: 413-439. ALLY, Mashuq ibn, 1996, “Islam”, in P. Morgan and C. Lawton (eds. ), Ethical Issues in Six Religious Traditions. Edinburgh, Edinburgh University Press, 220-263. Álvares, Francisco, et al., 2011, “Cultural dimension of wolves in the Iberian Peninsula: implications of ethnozoology in conservation biology, innovation”, The European Journal of Social Science Research, 24 (3): 313-331. Alves, J. P. Galhano, 2002, Vivre en biodiversité totale: des hommes, des grandes carnivores et des grandes herbivores sauvages, deux études de cas: loups au Portugal, tigres en Inde. Villeneuve d’Ascq, Presses Universitaires du Septentrion. Alves, J. P. Galhano, 2012, Anthropologie et écosystèmes au Niger: humains, lions et esprits de la forêt dans la culture gourmantché. Paris, Editions l’Harmattan. ATRAN, Scott, 1986, Fondements de l’histoire naturelle: Pour une anthropologie de la science. Paris, Editions Complexe. BERKES, Fikret, 1999, Sacred Ecology: Traditional Ecological Knowledge and Resource Management. Philadelphia, Taylor and Francis. BERLIN, Brent, 1992, Ethnobiological Classification Principles of Categorization. Princeton, Princeton University Press. BERLIN, Brent, Dennis E. BREDLOVE, and Peter H. RAVE, 1973, “General principles of classification and nomenclature in folk biology”, American Anthropologist, 75 (1): 214-242. BONNER, Raymond, 1993, At the Hand of Man: Peril and Hope for Africa’s Wildlife. New York, Knopf. Brito, Brígida Rocha, 2007, Estudo das Potencialidades e dos Constrangimentos do Ecoturismo na Região de Tombali. Lisbon, Instituto Marquês de Valle Flôr / Acção para o Desenvolvimento. Broch-Due, Vigdis, and Richard A. SCHROEDER (eds. ), 2000, Producing Nature and Poverty in Africa. Stockholm, Elanders Gotab. BROWN, Cecil H., 1984, Language and Living Things: Uniformities in Folk Classifications and Naming. New Brunswick, NJ, Rutgers University Press. BRUSH, Stephen B., 1993, “Indigenous knowledge of biological resources and intellectual property rights: the role of Anthropology”, American Anthropologist, 95 (3): 653-686. CAMEJO-RODRIGUES, Joana Salomé, 2002, Plantas Medicinais da Serra do Açor. Lisbon, Instituto da Conservação da Natureza, Área de Paisagem Protegida da Serra do Açor. CAMEJO-RODRIGUES, Joana, et al., 2003, “An ethnobotanical study of medicinal and aromatic plants in the Natural Park of Serra de São Mamede (Portugal)”, Journal of Ethnopharmacology, 89: 199-209. CAMPREDON, Pierre, 1997, Cantanhez: Forêts sacrées de Guinée-Bissau. Bissau, Tiniguena. CANCLINI, Nestor García, 1995, Hybrid Cultures: Strategies for Entering and Leaving Modernity. Minneapolis, University of Minnesota Press. CARREIRA, António, 1961, “Organização social e económica dos povos da Guiné Portuguesa”, Boletim Cultural da Guiné Portuguesa, 16 (64): 641-736. CARVALHO, Ana Maria, 2010, Plantas y Sabiduría Popular del Parque Natural de Montesinho: Un Estudio Etnobotánico en Portugal. Madrid, Consejo Superior de Investigaciones Científicas. Carvalho, Ana Maria, and Amélia Frazão-Moreira, 2006, “Caminhos de agora e do futuro: um rol de publicações e projectos à laia de conclusão”, in A. Frazão-Moreira and M. M. Fernandes (eds. ), Plantas e Saberes: No Limiar da Etnobotânica em Portugal. Lisbon, Edições Colibri, 103-112. CARVALHO, Ana Maria, and Amélia Frazão-Moreira, 2011, “Importance of local knowledge in plant resources management and conservation in two protected areas from Trás-os-Montes, Portugal”, Journal of Ethnobiology and Ethnomedicine, 7: 36. CARVALHO, Ana Maria, and Ramón MORALES, 2010, “Persistence of wild food and wild medicinal plant knowledge in a North-Eastern region of Portugal”, in M. Pardo de ­Santayana, A. Pieroni, and R. Puri (eds. ), Ethnobotany in the New Europe: People, Health and Wild Plant Resources. Oxford, Berghahn Books, 147-171. CARVALHO, Clara, 2004, “O olhar colonial: fotografia e antropologia no Centro de Estudos da Guiné Portuguesa”, in C. Carvalho and J. de Pina-Cabral (eds. ), A Persistência da História: Passado e Contemporaneidade em África. Lisbon, Imprensa de Ciências Sociais, 119-147. CONKLIN, Harold C., 1954, The Relation of Hanunóo Culture to the Plant World. New Haven, CT, Yale University. COX, P. A., and T. ELMQVIST, 1997, “Ecocolonialism and indigenous-controlled rainforest preserves in Samoa”, Ambio, 26 (2): 84-89. DABIRÉ, C. G., 1993, “Afrique: le ‘mythe’ de la vie en symbiose”, in D. Bourg (dir. ), Les Sentiments de la nature. Paris, Editions La Découverte, 85-98. Davidson-Hunt, Iain, and Fikret Berkes, 2003, “Learning as you journey: Anishinaabe perception of social-ecological environments and adaptive learning”, Conservation ­Ecology, 8 (1): #5, available at http://www.consecol.org/vol8/iss1/art5 (last access in September 2015). DESCOLA, Philippe, 2005, Par-delà nature et culture. Paris, Editions Gallimard. DESCOLA, Philippe, and Gísli PÁLSSON (eds. ), 1996, Nature and Society: Anthropological Perspectives. London, Routledge. 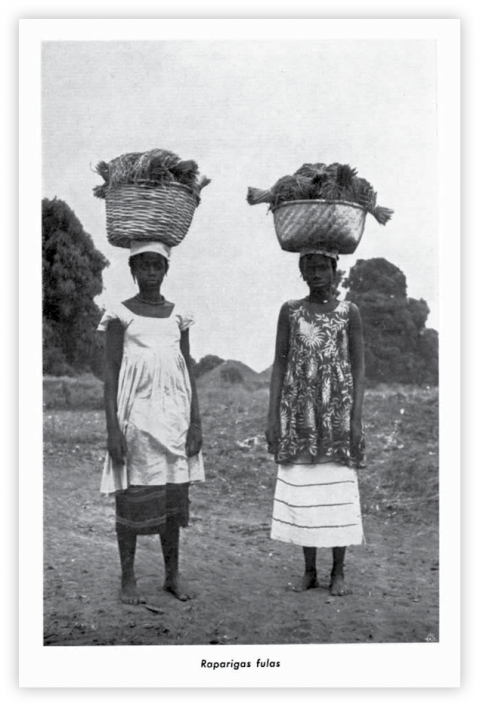 DIAS, Jill R., 1991, “Photographic sources for the history of Portuguese-speaking Africa, 1870-1914”, History in Africa, 18: 67-92. ELLEN, Roy, 1993, The Cultural Relations of Classification: An Analysis of Nuaulu Categories from Central Seram. Cambridge, Cambridge University Press. ELLEN, Roy, 2006, “Introduction”, in R. Ellen (ed. ), Ethnobiology and the Science of Humankind. Malden, MA, Blackwell Publishing, 1-27. ELLEN, Roy, and Katsuyoshi FUKUI (eds. ), 1996, Redefining Nature: Ecology, Culture and Domestication. Oxford, Berg Publishers. Ellen, Roy, Peter PARKES, and Alan BICKER (eds. ), 2000, Indigenous Environmental Knowledge and Its Transformations: Critical Anthropological Perspectives. London, Routledge. FOALE, Simon, and Martha MACINTYRE, 2005, “Green fantasies: photographic representations of biodiversity and ecotourism in the Western Pacific”, Journal of Political Ecology, 12: 1-22. Frazão-Moreira, Amélia, 2009, Plantas e “Pecadores”: Percepções da Natureza em África. ­Lisbon, Livros Horizonte. Frazão-Moreira, Amélia, Ana Maria CARVALHO, and Maria Elisabete MARTINS, 2007, “Conocimientos acerca de plantas en la nueva ruralidad: cambio social y agro ecología en el Parque Natural de Montesinho (Portugal)”, Perifèria, 7, available at http://revistes.uab.cat/periferia/article/view/173/190 (last access in September 2015). Frazão-Moreira, Amélia, Ana Maria CARVALHO, and Maria Elisabete MARTINS, 2009, “Local ecological knowledge also ‘comes from books’: cultural change, landscape transformation and conservation of biodiversity in two protected areas in Portugal”, Anthropological Notebooks, 15 (1): 27-36. Frazão-Moreira, Amélia, and Ana Maria CARVALHO, 2009, Etnobotânica do Nordeste Português: Saberes, Plantas e Usos: Relatório Final do Projecto POCI / ANT / 59395 / 2004. Lisbon, Centro em Rede de Investigação em Antropologia (CRIA) and Centro de Investigação de Montanha (Cimo), unpublished. FRIEDBERG, Claudine, 1990, Le savoir botanique des Bunaq: Percevoir et classer dans le Haut Lamaknen (Timor, Indonésie). Paris, Muséum National d’Histoire Naturelle. GÓMEZ-BAGGETHUN, Erik, et al., 2010, “Traditional ecological knowledge trends in the transition to a marked economy: empirical study in the Doñana Natural Areas”, Conservation Biology, 24 (3): 721-729. GOODY, Jack, 1994, La culture des fleurs. Paris, Seuil. Heckler, S., 2002, “Traditional ethnobotanical knowledge loss and gender among the Piaroa”, in R. Stepp, F. S. Wyndham and R. K. Zarger (eds. ), Ethnobiology and Biocultural Diversity: Proceedings of the Seventh International Congress of Ethnobiology. Athens, International Society of Ethnobiology, 532-548. Hockings, Kimberley, and Cláudia Sousa, 2013, “Human-chimpanzee sympatry and interactions in Cantanhez National Park, Guinea-Bissau: current research and future directions”, Primate Conservation, 26: 57-65. HORTON, Robin, 1967, “African traditional thought and western science”, Science (Africa), 37 (1-2): 131-171. HUNN, Eugene, 2007, “Ethnobiology in four phases”, Journal of Ethnobiology, 27: 1-10. IBAP (Instituto da Biodiversidade e das Área Protegidas), 2007, Estratégia Nacional para as Áreas Protegidas e a Conservação da Biodiversidade na Guiné-Bissau 2007-2011. Bissau, IBAP. IGOE, Jim, and Dan BROCKINGTON, 2007, “Neoliberal conservation: a brief introduction”, Conservation and Society, 5 (4): 432-449. Inglis, Julian T. (ed. ), 1993, Traditional Ecological Knowledge: Concepts and Cases. Ottawa, International Program on Traditional Ecological Knowledge and International Development Research Centre. INGOLD, Tim, 1996, “Hunting and gathering as way of perceiving the environment”, in R. Ellen and K. Fukui (eds. ), Redefining Nature: Ecology, Culture and Domestication. Oxford, Berg Publishers, 117-155. INGOLD, Tim, 2000, The Perception of the Environment: Essays in Livelihood, Dwelling and Skill. London, Routledge. INGOLD, Tim, 2003, “Two reflections on ecological knowledge”, in G. Sanga and G. Ortalli (eds. ), Nature Knowledge: Ethnoscience, Cognition, and Utility. New York, Berghahn Books, 301-311. KING, David A., and William P. STEWART, 1996, “Ecotourism and commodification: protecting people and places”, Biodiversity and Conservation, 5: 293-305. Landau, P., 2002, “Empires of the visual: photography and colonial administration in Africa”, in P. Landau and D. D. Kaspin (eds. 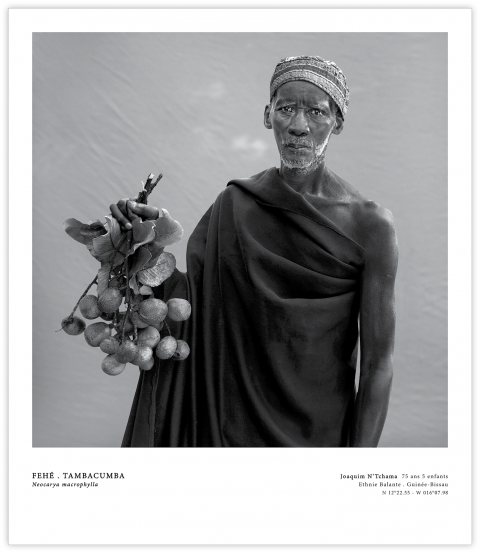 ), Images and Empires: Visuality in Colonial and Postcolonial Africa. Berkeley and Los Angeles, University of California Press, 141-171. LÉVI-STRAUSS, Claude, 1983 , La pensée sauvage. Paris, Plon. MANZOOR, S. Parvez, 2003, “Nature and culture: an Islamic perspective”, in H. Selin and A. Kalland (eds. ), Nature Across Cultures: Views of Nature and the Environment in Non-Western Cultures. Dordrecht, Klumer Academic Publishers, 421- 432. Maxwell, Anne, 1999, “Introduction: the great exhibitions, photography and the making of European identities”, in A. Maxwell, Colonial Photography and Exhibitions: Representations of the “Native” and the Making of European Identities. London and New York, Leicester University Press, 1-14. MEDDEB, Abdelwahab, 1993, “Le sentiment de la nature en Islam”, in D. Bourg (ed. ), Les Sentiments de la Nature. Paris, Editions la Découverte, 72-84. Milheiras, Sérgio, and Ian Hodge, 2011, “Attitudes towards compensation for wolf damage to livestock in Viana do Castelo, North of Portugal, Innovation”, The European Journal of Social Science Research, 24 (3): 333-351. MILTON, Kay, 2002, Loving Nature: Towards an Ecology of Emotion. London, Routledge. NAZAREA, Virginia D., 2006, “Local knowledge and memory in biodiversity conservation”, Annual Review of Anthropology, 35: 317-335. NOVAIS, M. H., et al., 2004, “Studies on pharmaceutical ethnobotany in Arrábida Natural Park (Portugal)”, Journal of Ethnopharmacology, 93: 183-195. ORLOVE, Benjamin S., and Stephen B. BRUSH, 1996, “Anthropology and the conservation of biodiversity”, Annual Review of Anthropology, 25, 329-352. Pélissier, René, 1989, História da Guiné, vol. II. Lisbon, Editorial Estampa. Peluso, Daniela M., and Miguel N. Alexiades, 2005, “Indigenous urbanization and Amazonia’s post-traditional environmental economy”, Traditional Settlements and Dwelling Review, 16: 7-16. POSEY, Darrell A., and Graham DUTFIELD, 1996, Beyond Intellectual Property: Toward Traditional Resource Rights for Indigenous Peoples and Local Communities. Ottawa, International Development Research Centre. Reyes-García, Victoria, et al., 2005, “Market economy and the loss of folk knowledge of plant uses: estimates from the Tsimane of the Bolivian Amazon”, Current Anthropology, 46 (4): 651-656. ROSS, Norbert, 2002, “Cognitive aspects of intergenerational change: mental models, cultural change and environmental behavior among the Lacandon Maya of Southern ­Mexico”, Human Organization, 61 (2): 125-137. SEQUEIRA, M. Menezes de, et al., 2006, Plantas e Usos Tradicionais nas Memórias de Hoje. Santana, Freguesia da Ilha e Casa do Povo da Ilha. SILVA, Artur Augusto, 1956, “Arte Nalú”, Boletim Cultural da Guiné Portuguesa, 11 (44): 27-47. SOUSA, Cláudia, and Amélia Frazão-Moreira, 2010, “Etnoprimatologia ao serviço da conservação na Guiné-Bissau: o chimpanzé como exemplo”, in A. Alves, F. Souto, and N. Peroni (eds. ), Etnoecologia em Perspectiva: Natureza, Cultura e Conservação. Recife, NUPEEA, 187-200. STRATHERN, Marilyn, 1995 , “No nature, no culture: the Hagen case”, in C. ­MacCormack and M. Strathern (eds. ), Nature, Culture and Gender. Cambridge, ­Cambridge University Press, 174-222. STURTEVANT, William C., 1964, “Studies in ethnoscience”, American Anthropologist, 66 (3): 99-131. TEMUDO, Marina Padrão, 2009, “A narrativa da degradação ambiental no Sul da Guiné-Bissau: uma desconstrução etnográfica”, Etnográfica, 13 (2): 237-264, available at http://etnografica.revues.org/1341 (last access in September 2015). TOLEDO, Victor Manuel, 1992, “What is Ethnoecology? Origins, scope, and implications of a rising discipline”, Etnoecológica, 1: 5-21. TOLEDO, Victor Manuel, 2002, “Ethnoecology: a conceptual framework for the study of indigenous knowledge of nature”, in J. Stepp, F. Wyndham and R. Zarger (eds. ), Ethnobiology and Biocultural Diversity. Athens, International Society of Ethnobiology, 511-522. TSING, Anna, 1999, “Becoming a tribal elder, and other fantasies of green development”, in T. Li (ed. ), Transforming the Indonesian Uplands. London, Harwood Academic Press, 159-202. Wild, Rob, and Cristopher McLeod (eds. ), 2008, Sacred Natural Sites: Guidelines for Protected Area Managers. Gland, International Union for Conservation of Nature (IUCN). ZENT, Stanford, 2001, “Acculturation and ethnobotanical knowledge loss among the Piaroa of Venezuela: demonstration of a quantitative method for the empirical study of TEK change”, in L. Maffi (ed. ), On Biocultural Diversity: Linking Language, Knowledge, and the Environment. Washington, Smithsonian Institution Press, 190-211. 2 This paper was presented at the keynote session “Ecology and Ethics” of the 10th International SIEF Congress “People make places: ways of feeling the world,” Lisbon, April 2011. I would like to thank the congress organizers for the invitation. 3 The cognitive approach has great importance in ethnobiology, not without a critical perspective; authors of reference are, among others: Atran (1986), Berlin (1992), Brown (1984), Ellen (1993), Friedberg (1990). 4 In Portugal, I suppose that one could say that descriptions of usage practices and knowledge about plants and animals appear in classic Portuguese ethnographic works although not exactly as the main subject. Unlike other European countries, ethnobotany or ethnozoology weren’t constituted as fields of study within which knowledge in these areas was collected throughout the twentieth century. However, in recent decades, there has been some investigation in Portugal, mostly in ethnobotany and ethnopharmacology, with a focus on the useful properties of plants (for instance Camejo-­Rodrigues 2002; Camejo-Rodrigues et al. 2003; Novais et al. 2004; Sequeira et al. 2006; Carvalho 2010; ­Carvalho and Morales 2010). The nature of most of this research work doesn’t relate it to anthropology or the social sciences, which means that very little research has an ethnographic approach. In a way, it could be said that most research work falls into the category of what Brush (1993) called “descriptive historic particularism demonstrated in the knowledge of natural elements,” in this case that of plants (see list of the studies conducted between 1996 and 2005 in Carvalho and Frazão-Moreira 2006). Unlike ethnobotany, ethnozoology was never a separate discipline in Portugal. However, this doesn’t mean that it didn’t exist, and research is being carried out nowadays both in the fields of anthropology and biology, in a way that is close to an ethnobiological approach. Today, emerging from the heart of Portuguese anthropology, ethnographic research work is regularly conducted that focuses on the social appropriation of biophysical environment in different cultural contexts, environmentalist culture, nature conservation and human and non-human interaction (for instance: Alves 2002, 2012; Sousa and ­Frazão-Moreira 2010; Álvares et al. 2011; Milheiras and Hodge 2011; Hockings and Sousa 2013). 5 Fieldwork carried out for the project “Chimpanzee distribution and relation with local human communities in the coastal area of Guinea-Bissau” (FCT-PTDC / CS-ANT / 121124 / 2010), coordinated by Cláudia Sousa. 6 The Islamisation process took place in the 20th century (e. g. Silva 1956; Carreira 1961; Frazão-Moreira 2009). 7 In this oral version of history, the name of the area itself, which remained Nalu territory, emerged at that time: the chiefs suggested that the river should mark the border between the Nalu zone and the new Fula zone, saying in the Nalu language “ka m’tess” (“n’tess” means river), which the Portuguese administrator understood as “cantanhêsse.” And that is how the territory got its name – Cantanhez. 8 Projet “Ethnobotany of the Northeastern region of Portugal: local knowledge, plants and uses,” funded by the Portuguese Foundation for Science and Technology, FCT (POCTI / ANT / 59395 / 2004). All the data presented is a result of joint work with Ana Maria Carvalho (Cimo – Mountain Research Center / School of Agriculture of the Polytechnic Institute of Bragança) and collected with the help of Maria Elisabete Martins, grant holder. Amélia Frazão-Moreira, « Ethnobiological research and ethnographic challenges in the “ecological era” », Etnográfica, vol. 19 (3) | 2015, 605-624.